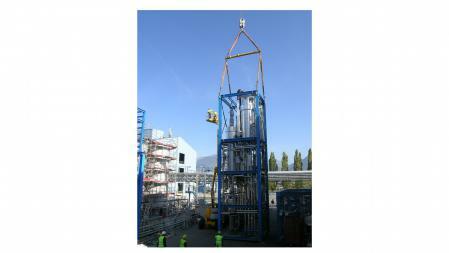 3V Tech supplied a two-stage distillation plant for the production of high-purity Herbicide. Besides two thin film evaporator, the plant is equipped with an up-stream degasser, distillation column, multi-stage vacuum system, and feed and discharge pumps. 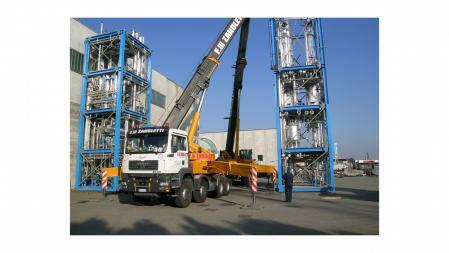 All plant components are mounted into an fifteen-meter steel frame which consists of two modules. The piping and electrical cabling of all components as well as the leak-checks of all flange and welding connections were completed before shipment. 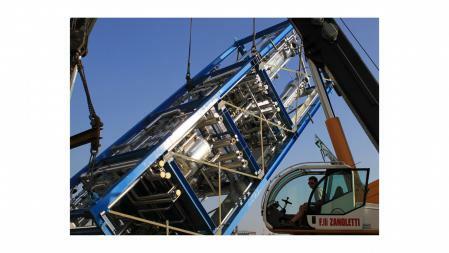 For transportation, only the vacuum system which was assembled into a separate module was removed. 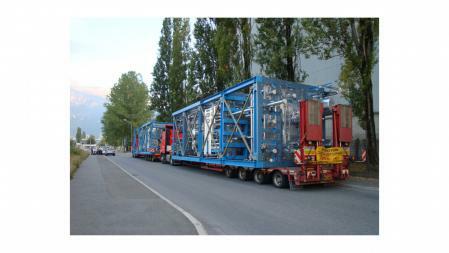 The modules were loaded on special trucks and transported to site. 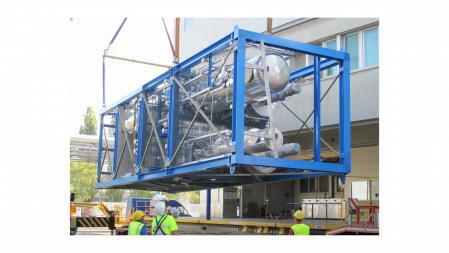 Compared to the conventional delivery and assembling of single components the supply of the two pre-assembled modules significantly reduced the overall time schedule.